Turns out dolphins have a certain magnetic quality, not just figuratively but literally. A new study published in the journal Naturwissenschaften — The Science of Nature, reveals that the aquatic mammals are attracted to magnets, behaving differently when in proximity to magnetized objects as opposed to any that are demagnitized. Here, we tested the spontaneous response of six captive bottlenose dolphins to the presentation of two magnetized and demagnetized controlled devices while they were swimming freely. 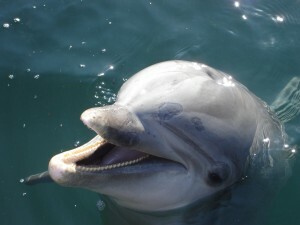 Dolphins approached the device with shorter latency when it contained a strongly magnetized neodymium block compared to a control demagnetized block that was identical in form and density and therefore undistinguishable with echolocation.